Updated Wednesday August 16, 2017 by Lori Miller. Reagan Reeves is a blessing to Houston Homeschool Athletics. As one of the founders of HHA, Reagan has been instrumental in creating a fun and caring, but competitive, sports program for homeschool athletes. 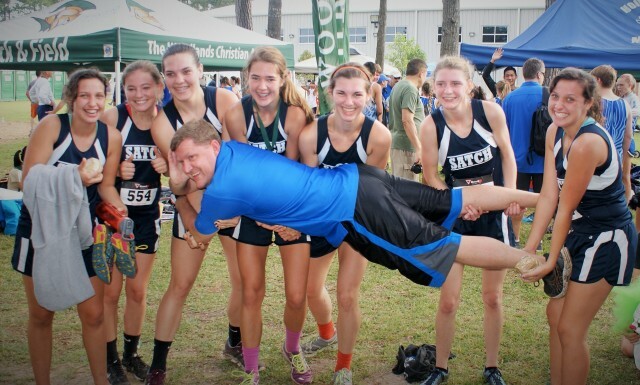 Besides serving as HHA's athletic director, Reagan coaches HHA athletes in cross country and track and field. Reagan ran cross country on a full scholarship at Northwestern State University and offers his expertise and experience to our long distance runners. He is also an avid learner, and he brings his compassion for the sport of running to fruitation as he continually learns how he can best train and support our cross country athletes. Reagan's love for the Lord and passion for people makes his contribution to our HHA's athletes without equal. Reagan serves as head pastor of Security First Baptist Church and is a Dad to four wonderful children. Reagan best half is his wife Ashley, who supports him and HHA faithfully.